We can’t say it enough: Back it Up! Backups act as life insurance for your data. What is the security of your data’s future worth to you today?When it comes to backing up your data you can never be over prepared. 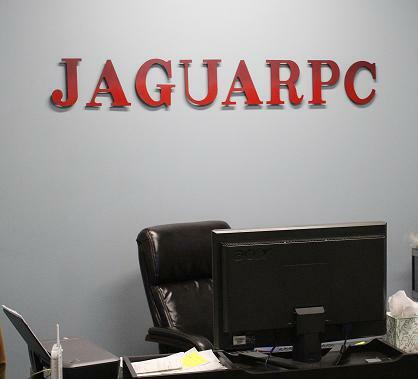 JaguarPC does offer daily backups which are supported by the industry leading Idera backup solutions. But inevitably a drive spinning 365/24/7 will at some point fail. There is no way to determine when this failure will occur or how serious it will be. While we make every attempt to recover data from a failed server it is not always possible to recover the data back to the point of your own personal last data update and sometimes while we can recover the data and restore it the time frame to do that could involve a lengthy wait.Your best bet is to have your own emergency disaster recovery plan in hand. When your business or years of data and work is at stake then you will want to maintain your very own backups. Many of our customers take their own daily backups which they store on their own personal computers, external drivers, personal servers, backup solutions software and cloud services in order to be able to restore their data and services in a timely manner.While some hosting users may consider this a hassle or an extra step or even an additional and unnecessary cost these users aren’t considering the overall impact that a server down could have on the very vital existence of their site. While we make every effort to restore your services and your data in a timely manner when a server goes down or fails entirely it is not always possible for us to recover the data as quickly as some as our clients would like for us to be able to recover it.If you have your own backup then we can quickly restore you to a new VPS and have your site up and running again much more quickly. Prepare for the worst and when an emergency occurs you won’t be stuck waiting for your data to be recovered and restored from a server that has experienced a catastrophic event.In the near future JaguarPC will start promoting a more extensive external back up option for you with Idera v5 and Cloud options. Additionally, Version 5 will allow us to perform restores at a faster rate than before.Don’t let your business, forum users, blog fans or even your information site users down. Have backups on hand and in the event of a server failure we will be able to get you moving and back into business sooner. When machines fail and you have a backup emergency recovery plan in place then your life and your business can recover quickly. When a server fails and throws your life a curve ball then you can hit it out of the park when you have the tools in place and the skills on hand to recover quickly.Insure your data by backing it up and know that if something happens to your data it is safe and secure. Back it up again and again.